Our Professionals have expertise in a range of Freight services and you can always rely on our Experts to get your vehicles shifted anywhere across the globe. What Are RO-RO Shipping Vessels? The term RO-RO service stands for Roll-On/Roll-Off and relates to those ships and freight carriers that can bear the load of vehicles and other wheeled cargo. These ships are specially designed with built-in ramps and entry/exit doors that allow the cargo to be rolled onto the deck of the ship. This cargo is then transported domestically or internationally to its destination, where it is once more rolled off the ship onto the port with the help of the ramps built into the ship’s design. Vessels that transport only cars to their respective destinations. These vessels carry cars, trucks and all other four wheeled vehicles. This combination of the Container and the RoRo vessel serves double purposes – the top deck is used to store heavy equipments and cargo whereas the lower deck is used to carry vehicles. These are referred as ferries that carry passengers and also have a storage area for heavy vehicles or cargo. RO RO services are cheaper than most other shipping vessels. Vehicles can be easily driven in at the time of transport and rolled down the ramp at the time of docking. Evidently this saves a lot of time since no additional work force is required. If you are planning to go out for a tour and would want to take your car along with you, do not hesitate to give our experts a call. 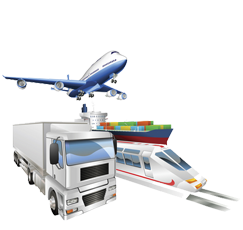 We offer RO RO Ships and freight services to customers who wish to have their vehicles transported across the globe. Contact us and explain your shipping need and we will get back to you with a customized shipping solution based on your requirement.